This chapter considers the implications and limitations of Big Data in helping to achieve global food security. It highlights how Big Data is already being used to inform humanitarian food security initiatives. The chapter reflects on the United Nations’ Global Pulse initiative, which gathers real-time data and feedback on policy responses to humanitarian crises to try to improve practice amongst development organisations and make food security better. 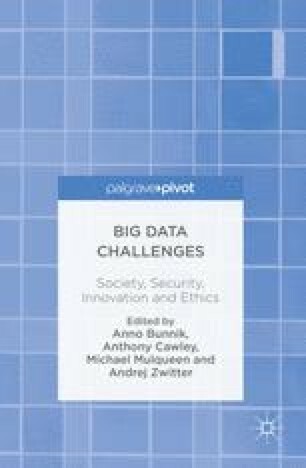 The chapter also highlights the limitations of Big Data’s role in enhancing food security; such limitations include the unpredictability of human behaviour, societal and ancestral contexts, and the potential for data-informed mass perception to be misleading. The harnessing of Big Data to improve food security may also encounter resistance from political and economic interest groups. Nunn, N., & Qian, N. (2012, January). Aiding conflict: The impact of U.S. food aid on civil war. NBER Working Paper No. 17794. Retrieved June 20, 2013, from http://www.nber.org/papers/w17794.